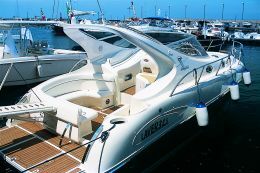 The Italian nautical industry is well respected all over the world mainly for the high quality output of shipyards building mega yachts intended for the most exclusive markets. 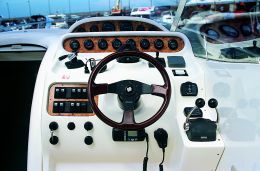 Beneath this image of prestige there is a production reality - hardly known on the international level - that surprises those who think that the yards operating at lower levels, producing smaller and less expensive yachts, cannot achieve such degree of excellence. Nautica Salpa is fully entitled to be the leading representative of this school, especially after having experimented with all sorts of innovations since its onset, in 1985. The debut of the Laver 32.5 - the hull is pleasing to the eye at first sight - is the occasion the yard has of discovering the results of the passionate and steadfast work of engineer Pane and of his two sons, at the head of the company's "key sectors". First of all we are looking at a highly engineered product, one of the highest on the European level. 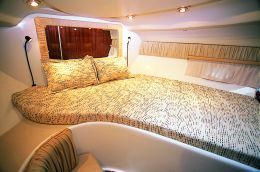 Suffice it to say that this cabin cruiser was born from little less than one hundred moulds, that is, ten times more than the quantity used by any traditional yard to produce a yacht of equal size. 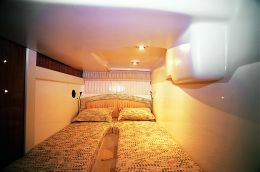 The results of this production process are visible throughout, even in the most inaccessible parts, such as the internal surfaces of the locker hatches where they are as glossy as the hull sides. Before all this, there is an enormous headwork that directly involves design and that is inevitably carried out with an industrial approach. In the midst of so much technical work - made of data, processing and mathematical models - the proverbial "hand" for drawing the hull could not be missing. 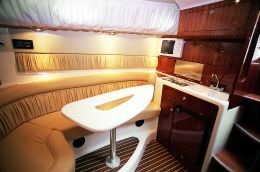 It was the famous Renato Sonny Levi, the artist of some of the most winning waterlines in the history of offshore boating, who did the job. 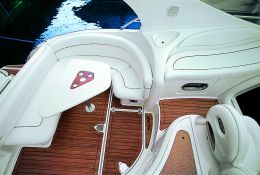 High-level performance, then, for a cabin cruiser with two sides to its personality. 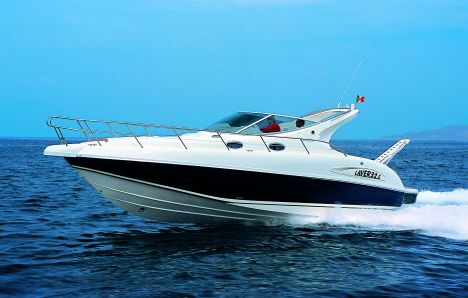 A sporting one able to satisfy those who love a sparkling drive in moderate seas and a more leisurely one for those who prefer day cruises or long relaxing holidays. 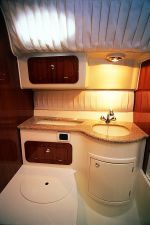 One should not forget, though, that the Laver 32.5 is a cruiser with two nice cabins, a large fully fitted salon and a bathroom that, as a general rule, maybe found on a cabin cruiser 10 feet longer.